This year, from March 7-10, ARTBOOK | D.A.P. 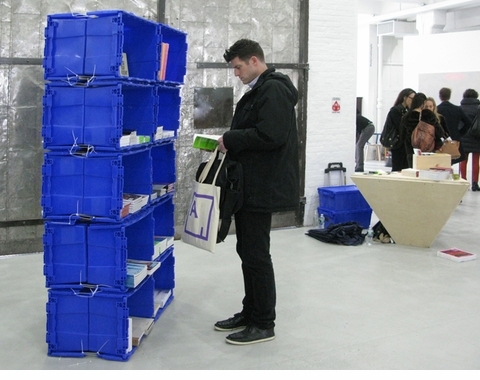 presented a pop-up bookstore at the Independent Art Fair, featuring a curated selection of books on emerging, overlooked and essential artists related to the fair. Because of inclement weather in 2013, the rooftop lounge (which was to have housed our pop-up store) closed on opening day. Not a problem! We improvised, using storage containers and plastic fasteners to create a bookshelf for our new location on the second floor. 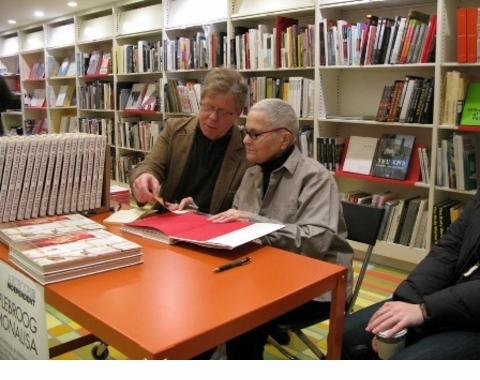 Ida Applebroog signing copies of her monograph, Monalisa in 2010, accompanied by Creative Capital's Sean Elwood. 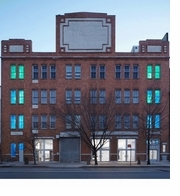 The Independent Art Fair is held each year in the West 22nd Street building that once housed the Dia Center for the Arts, and later X Initiative.